Based on the homonym book by Josué Guimarães, “While we wait for the night” deals with a question that torments all human beings since the beginning of their existence: life’s end. 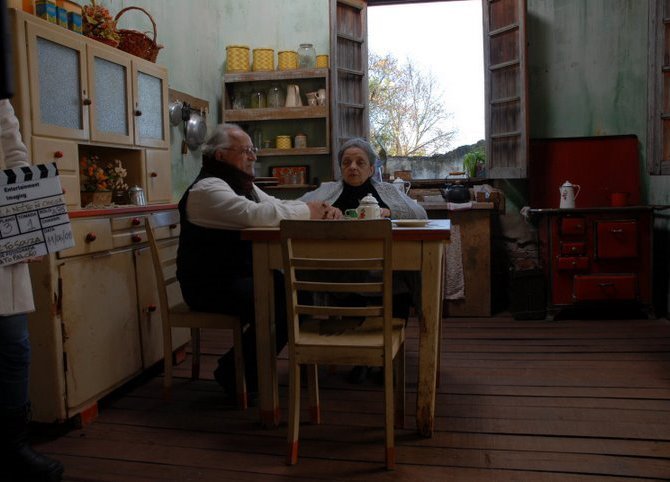 In Beto Souza’s film, Conceição and Eleutério are an elder couple in a deserted, ruined city, who wait with dignity the time of their departure. Among diffuse memories and ghosts from the past, they review their story through 16 mm films made by Eleutério during their lives. The projections made by the couple mingle with the film itself, generating an interesting combination between the film and the new digital movie. Produced by Pedrafilme, it is in the finalizing stage and should be launched in the first half of 2009.